TATRA, Kopřivnice is a Czech vehicle manufacturer, founded in 1850, headquartered in Kopřivnice. Multiple winner of the Dakar Rally. In the 1860s, the company had factories not only in the Czech Republic, but also in Berlin, Vienna, Wroclaw, Kiev and Chernivtsi. In 1882 she began to produce railway cars. In 1897, she produced the first passenger car, the President, a year later, the first truck. During the Second World War, the Tatra equipment (as well as the Skoda) made an invaluable contribution to the successes of the fascist Third Reich troops in the first stage of hostilities. After the Second World War, the company was nationalized, and its leadership mainly went to jail. The company produced trucks and passenger cars of a class “luxury” (until 1989). 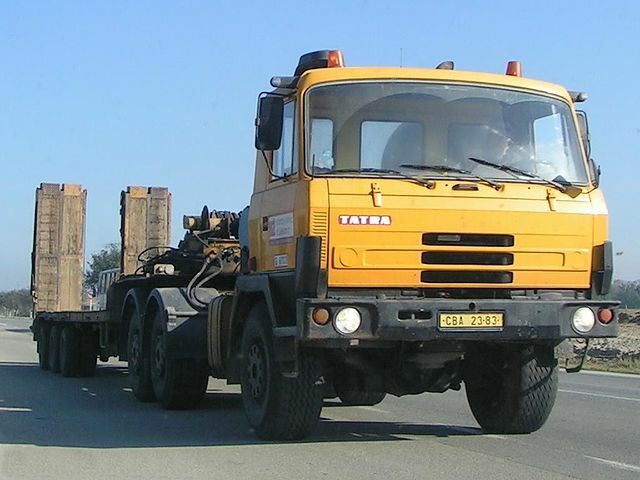 Heavy trucks manufactured by TATRA a.s. repeatedly used as a wheelbase for various heavy military vehicles, as well as vehicles for military purposes, such as the 152-mm self-propelled howitzer cannon vz.77 “Dana”. The company currently produces heavy trucks. Branches of the company are located in the Czech Republic (Prague-Smichov – trolley buses, trams, trains), Moravia (Koprshivnitse – trucks) and Slovakia (Bratislava, Banovce nad Bebravou, Cadca). Currently, TATRA, Kopřivnice exports 80% of its products. Its headquarters employs approximately 1,500 people, while the staff of the entire TATRA holding company, including subsidiaries, is about 3,200 people.